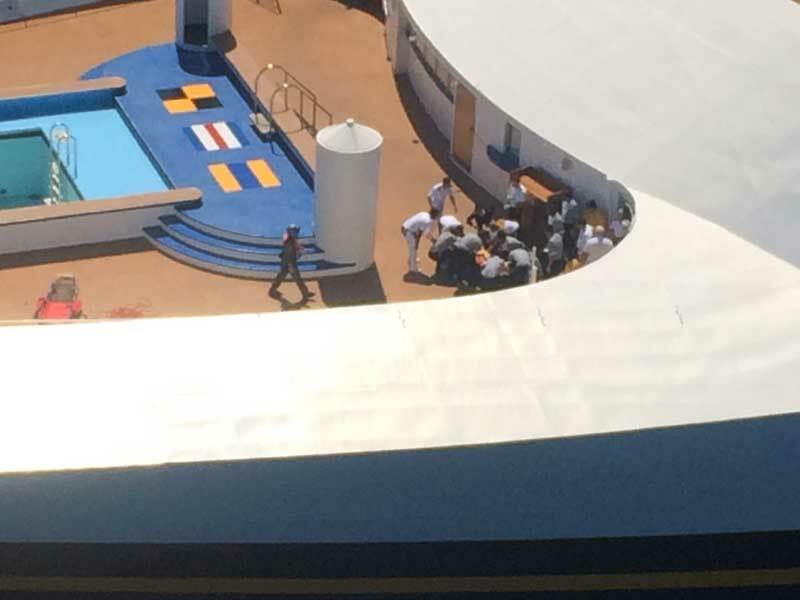 A passenger has been injured onboard a Disney cruise ship on Saturday and had to be airlifted by the Coast Guard. The 29-year-old male passenger was cruising onboard the Disney Magic cruise ship and got injured onboard. The man was suffering from a hip and leg injury when the U.S. Coast Guard was contacted by the ship at 5 a.m, Saturday, 16th May. At the time the Disney Magic was around 45 miles off the coast of Charleston, S.C.
A crew aboard an MH-65 Dolphin helicopter from Air Facility Charleston medvaced the injured passenger who was in a stable condition. The man was then taken to Medical University in Charleston. There are no reports for the reason of the injury and will keep readers updated on any more developments. The 83,338 gross ton Disney Magic is currently on a 15 night transatlantic cruise that will come to an end in Europe on 29th May.